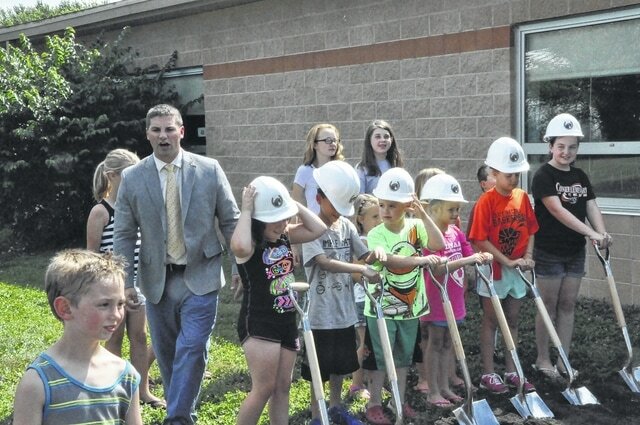 Conger Elementary School students assembled for a photo at the groundbreaking ceremony Tuesday afternoon at Conger. The school district’s construction at Conger will create more classrooms; reconfigure the school offices to increase security; create additional parking spaces; and improve routes for student pick-up and drop-off. Construction begins this month and the district hopes to have completed construction by the 2016-17 school year.